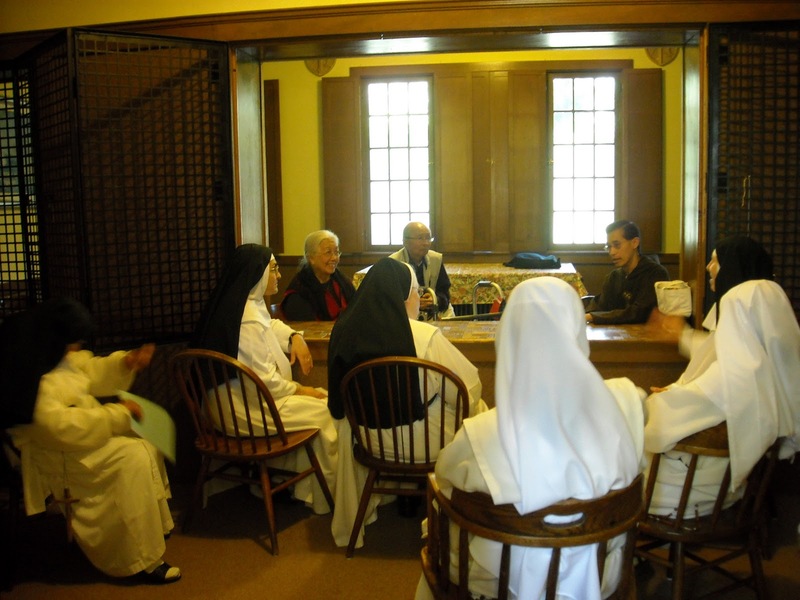 Dominican Nuns: EWTN Visited NunsMenlo! This past week, we had a surprise visit from our dear friends and benefactors, Mr. and Mrs. Robert Soeherman, who came from Alabama for a family visit. With them was their son, Fr. Miguel Marie of our Lady, Mediatrix of all grace, MFVA. Mr. Soeherman graciously volunteered a countless number of hours to help in our library some time ago. Their son, Fr. 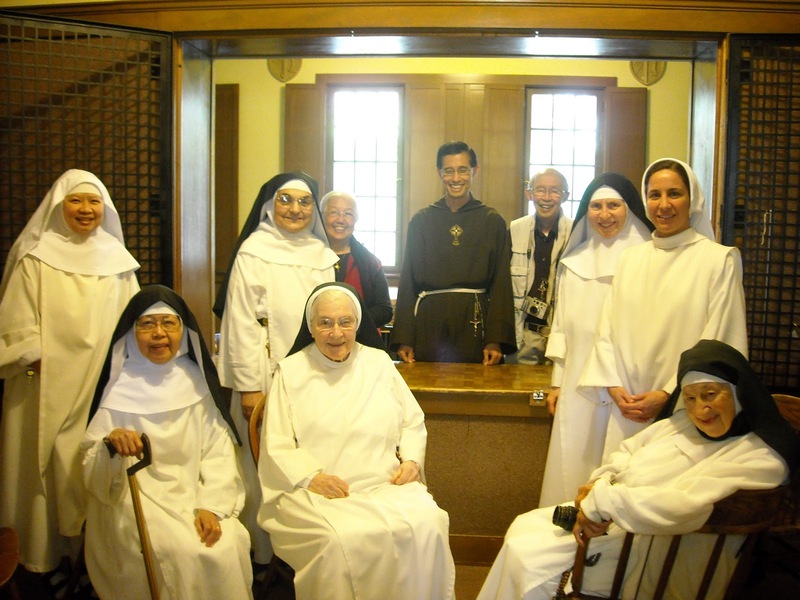 Miguel Marie, a member of the Franciscan Missionaries of the Eternal Word, found his vocation to the priesthood while working as a System Engineer for Electronic Data Systems. 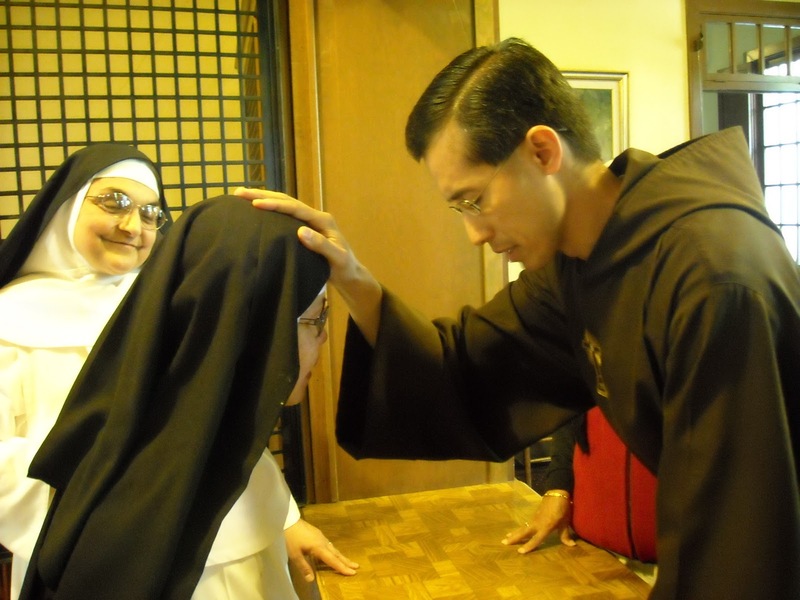 ﻿Father Miguel Marie was ordained to the priesthood on June 5, 2004 and currently serves as the Community Vicar, MFVA Council member, Local Servant at Ephesus House in Hanceville, Alabama and Novice Master. Many of his homilies can be viewed online and heard through the Youtube. ﻿﻿﻿﻿﻿﻿﻿﻿* Our Sister Mary Isabel is an Indonesian-the same nationality as the Soehermans-so this was quite a happy visit and reunion for all of us. 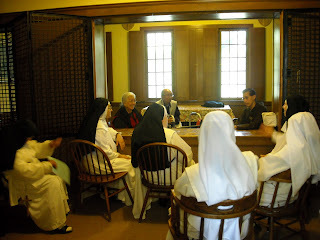 Even Sister Joseph Marie was quite happy and impressed when Fr. Miguel Marie prayed with her the Hail Mary in Vietnamese! Father has promised to learn more prayers in Vietnamese so as to pray with her on his future visit to our Monastery. Deo Gratias! and we too must give up our lives for our brothers. I love to see this blog! You ladies are our light and our hope. Please pray for me and my little family.